5 Soldiers who will be deployed during the Summer Olympic Games are presented during a ceremony in Rio de Janeiro, Brazil. 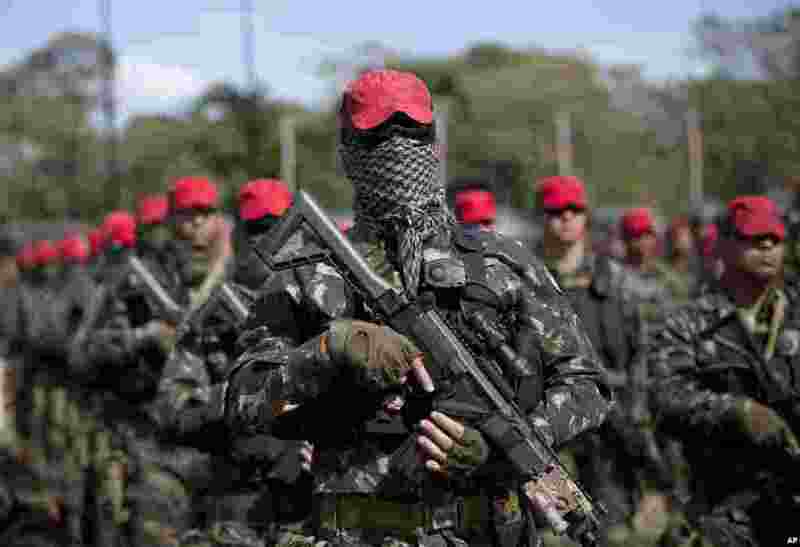 Roughly twice the security contingent at the London Olympics will be deployed during the August games. 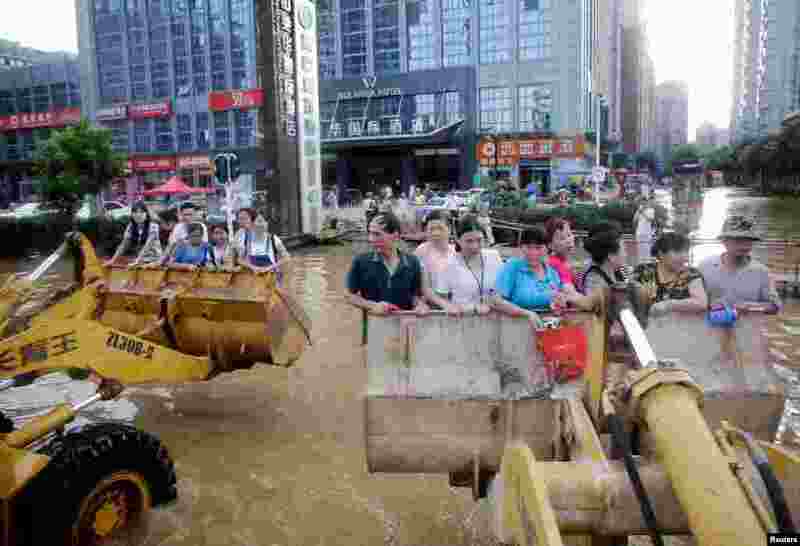 6 People use excavators as they make their way to work through floodwaters in Wuhan, Hubei province, China. 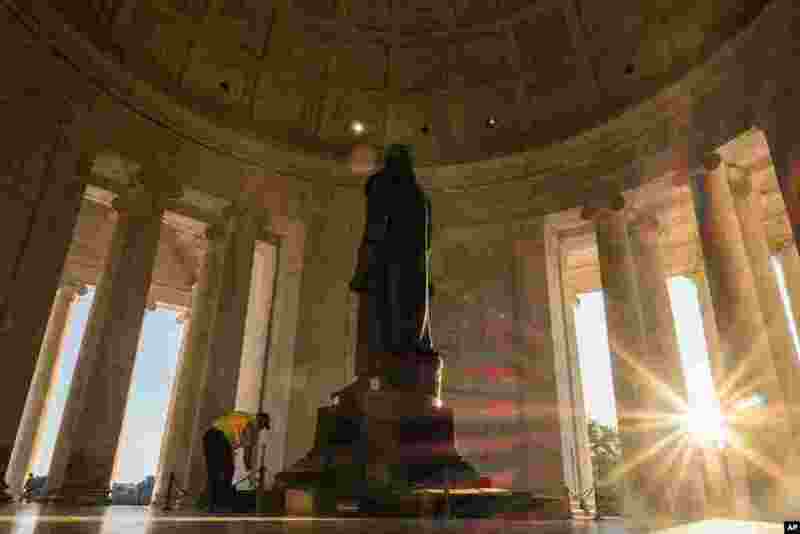 7 A U.S. Park Service employee dusts off the statute of Thomas Jefferson as the sun streaks through the pillars at the Jefferson Memorial in Washington, D.C., early in the morning,. The temperature was expected to reach the 90s (F) in the nation's capital. 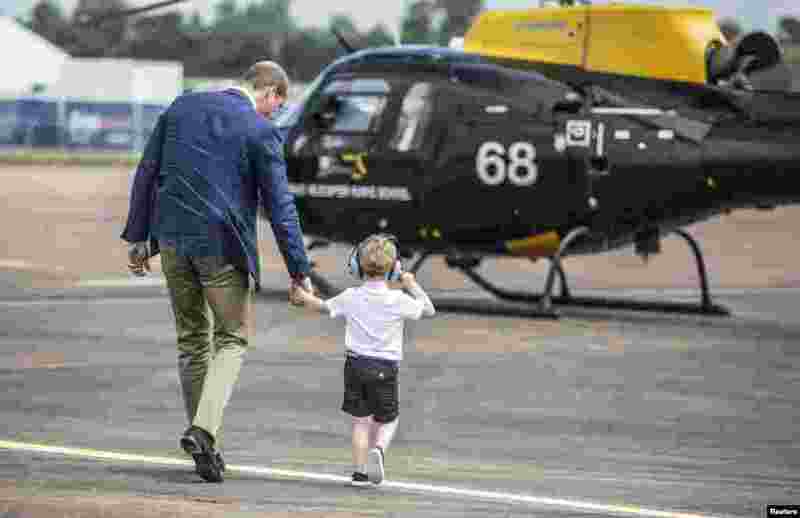 8 Britain's Prince George walks with his father Prince William during a visit to the Royal international air show at RAF Fairford.